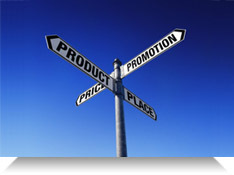 Promotional products add impact, value, and fun to brand marketing initiatives, plus, they work. Representing a more efficient spend over traditional brand advertising methods, custom imprinted promotional advertising items are attractive additions to a comprehensive brand management plan. Tulsa-based printing and promotional marketing company, PF Unlimited maximizes our clients’ promotional marketing dollars by combining our promotional industry experience with top-quality custom branded merchandise engineered to achieve prosperous corporate branding results and create lasting brand impressions. PF Unlimited can source and personalize any promotional product you can imagine with your company’s name or logo. With a boundless catalog of promotional merchandise and a vast array of manufacturing and decoration options, PF Unlimited clients trust our promotional marketing professionals to perfectly match purpose, product, price, and provider. PF proudly maintains preferred relationships with both recognized retail and promotional marketing industry brands to assure our clients of “unlimited” business advertising product choices. By combining our network of proven manufacturers, creative capabilities, peerless process management, and exceptional services, PF clients are guaranteed imaginative promotional products, unique advertising specialty items, and creative marketing materials designed to forward the business of their brand. Whether Marketing, Management, Procurement, Finance, or Human Resources, cross-enterprise managers are tasked with corporate branding strategy delivery to varied audiences. Branded advertising merchandise can convey the right message, in the right place, at the right time, to the right audience. Personalized promotional products may be used to improve market share, encourage customer loyalty, reward and retain quality employees, drive trade show traffic, support safety initiatives, launch new products, promote an event, or dress a sales staff for success. If you are chartered with increasing brand value, partnering with PF Unlimited ensures that your company's promotional advertising message will reach the target audience and create the best brand buzz. PF Unlimited delivers exceptional promotional products designed to strengthen your brand awareness and keep your brand top-of-mind with your customers and prospects.